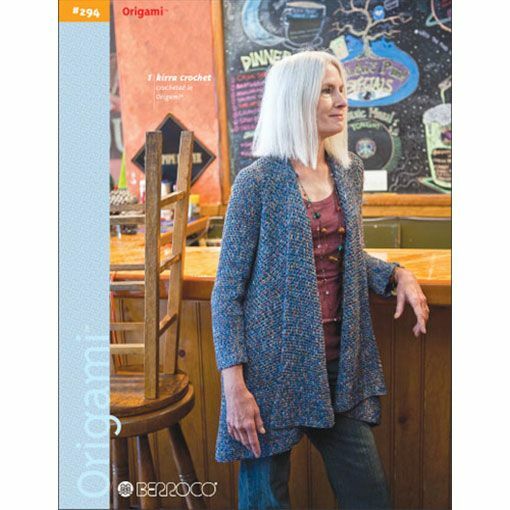 The Berroco #294 Origami pattern booklet features 9 knit and crochet patterns that are relaxed and very wearable. Depending on the yarn you choose to work with, these patterns can be dressed up or down. All patterns in this collection were written for Berroco Origami which is now discontinued. We like to suggest substituting in Berroco Modern Cotton when our customers are interested in knitting the very popular Kiama cardigan. 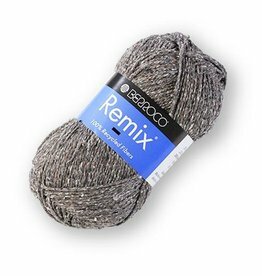 Made of 100% recycled fibers, Berroco Remix will present a tweedy fabric with wonderful drape that accompanies blends with cotton, silk and linen. 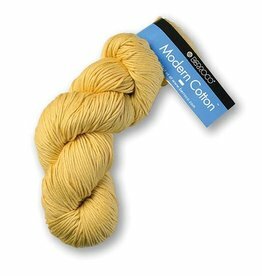 Berroco Modern Cotton is a worsted weight non-wool blend of cotton and rayon. 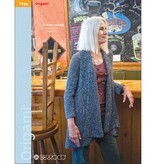 It's an ideal choice knitters and crocheters looking for endless color options.